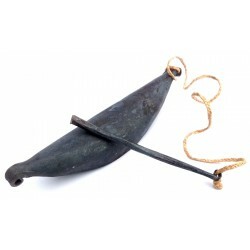 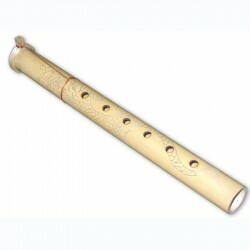 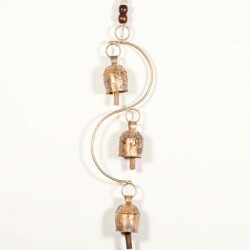 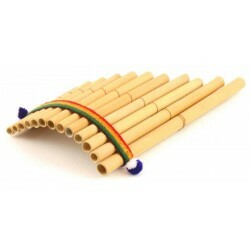 Exotic fair trade musical instruments and noise makers handcrafted from around the world. 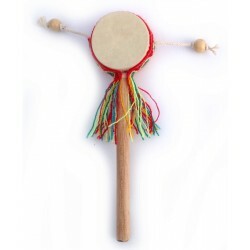 Twirl the drum around the stick to produce the sound of crickets chirping o.. 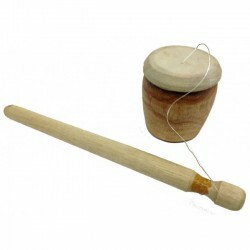 The frame for this one is constructed from a gourd, with authentic goat hid.. 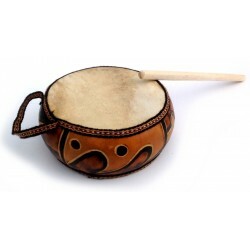 Handmade by Peruvian artisans from a gourd, this drum has two lambskin head.. 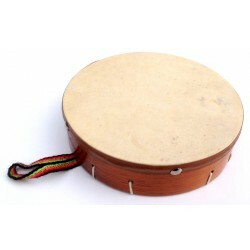 This traditional frame drum includes jingle bells and a colorful hand strap..
Clang, Clang, Clang... call your tribe - Dinner Time! 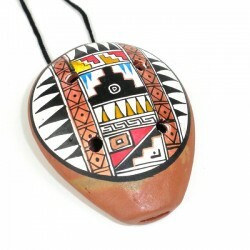 Iron bell played ..
Molded from clay and painted by hand by Peruvian artisans,this Ocarina on a.. 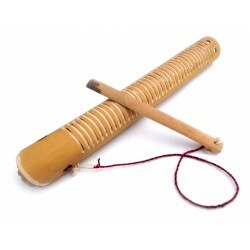 Traditional bamboo scraper with attached rasp. 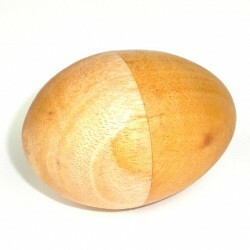 Each groove is carved by han.. 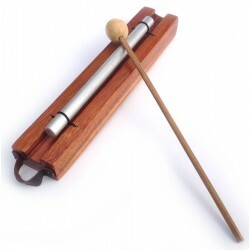 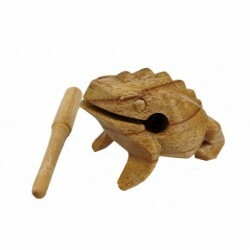 This frog sings a frog song when you stroke its spiny back, which explains ..
Easy to play, the handmade Suling flute is a traditional instrument from th..
A solid aluminum bar provides a subtle note to focus body and mind. 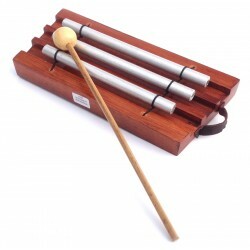 Include..
Three solid aluminum bars provide a melodic opportunity to focus body and m..